We are the manufacturer, trader and supplier of Commercial Sign Board. This product is available in various colors, designs, patterns and sizes. Our company is widely appreciated for providing Acrylic Sign Board to the client. This product is manufactured as per the set industry norms using supreme class raw material and cutting edge technology. Acrylic Sign Board is available in different designs and sizes that can also be customized as per the client’s demands. Our company has created niche in the field for providing Advertising Sign Board to the clients. This product is widely used for displaying various products and projects in different places. Advertising Sign Board is manufactured using quality tested raw material and with the help of advance technologies. 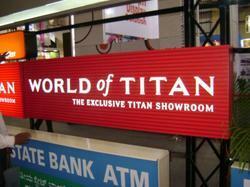 Our company has set benchmark for providing Flex Sign Board to the clients. This product is an ideal method of advertisement and is mainly used for commercial purposes like promoting your business. 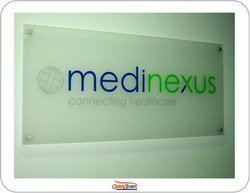 Flex Sign Board is available in different sizes, styles and patterns which can be customized as per client’s requirements. 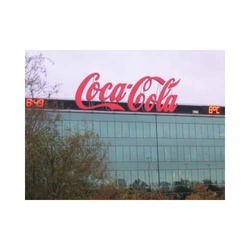 Looking for Commercial Sign Board ?